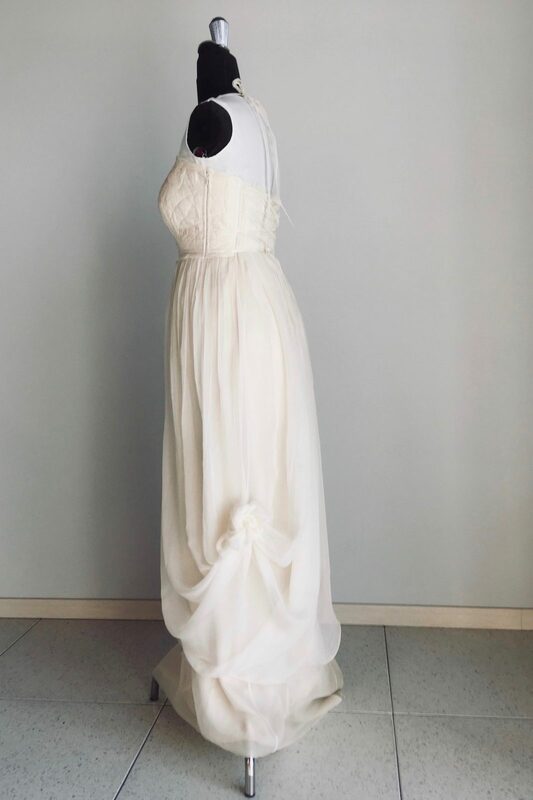 A breastfeeding friendly version of the Amaryllis wedding dress. This bride-to-be is a two time mama, and her second baby will be under a year on the wedding day. 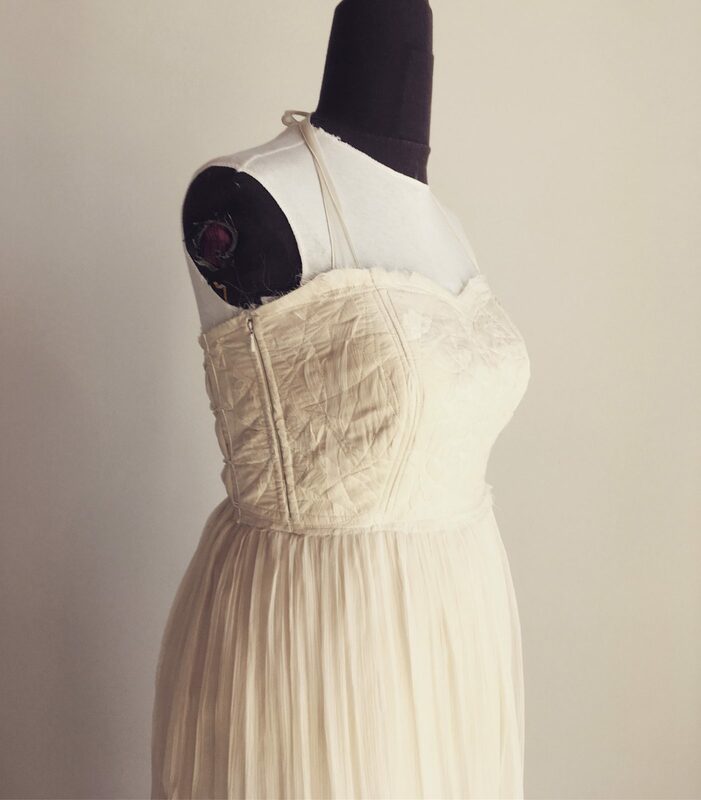 Because she is breastfeeding, she needed easy access to be able to feed him, but she had fallen in love with a dress that has a structured bodice, with a corset and boning… which makes getting in and out of it a little bit of a headache if it needs to be done multiple times a day! 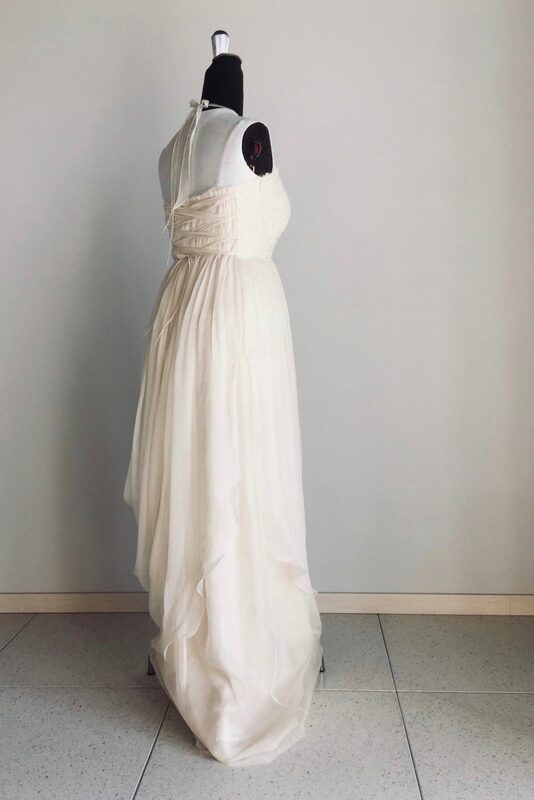 We discussed it and decided on inserting zippers in each side of the bodice, to be unzipped when needed and to be concealed by the arm when closed. I’m very satisfied with how the customisation turned out. Practical and invisible. They allow the mama who is going to wear it to feed her babe easily throughout the day, without needing to remove the fitted bodice! Adapting my designs to suit the particular needs of the individual who will be wearing it is one of the most satisfying parts of dressmaking. The problem solving involved makes each dress unique.